Popular Weight-Loss Supplement Now Banned in U.S.
Ephedra (Ephedra sinica) is an herb with a long history of use in traditional Chinese medicine for asthma, bronchitis, allergies, and cold and flu symptoms. It is also known as Ma huang. During the 1980s, ephedra became popular outside of traditional Chinese medicine for weight loss and to enhance sports performance. Its popularity continued to grow, and it was found in many nutritional supplements marketed for weight loss and performance enhancement. However, the U.S. Food and Drug Administration (FDA) banned compounds found in ephedra in 2004. The primary active ingredients in ephedra are the alkaloids ephedrine and pseudoephedrine. Both are believed to increase heart rate, constrict blood vessels, dilate bronchial tubes, and have thermogenic properties to increase body heat and metabolic rate. These alkaloids have been linked to stroke, seizures, psychosis, and death. Dietary supplements containing any amount of ephedrine or pseudoephedrine are banned in the United States, however, some supplement companies have removed these alkaloids from ephedra and reformulated their products. In Canada, ephedra is authorized by Health Canada for use only as a nasal decongestant. Nutritional supplements with ephedra may not also contain stimulants, such as caffeine, which may heighten the effect of ephedra and increase its dangerous side effect. Canadian products containing ephedra also may not imply claims of weight loss, appetite suppression, body-building effects, or increased energy. The once popular stimulant was used for weight loss, sports performance, and asthma and other respiratory problems. Ephedra is used in weight loss supplements. Proponents claim that it may help promote weight loss and suppress appetite. Prior to the ban on ephedra supplements, many dietary supplements marketed for weight loss also contained caffeine-containing herbs, such as green tea, yerba mate, and guarana. The ephedra/caffeine combination, however, is now widely believed to heighten the potential health risks and is not recommended. Ephedra is similar in structure to amphetamine, so it has been used to increase athletic performance in strength and endurance sports, increase alertness and aggressiveness on the field, and reduce fatigue in sports such as ice hockey, baseball, football, and cycling. There is no strong evidence, however, that it can improve sports performance, and is not recommended for this purpose given the potential side effects. Ephedra is banned by many sports associations, including the International Olympic Committee, the National Football League (NFL) and the National Collegiate Athletic Association (NCAA). Ephedra has a long history of use in traditional Chinese medicine as a folk remedy for asthma, bronchitis, allergies, fever, chills and cold and flu symptoms, such as nasal congestion. Use of ephedra has also been associated with stroke, seizures, psychosis, and death. 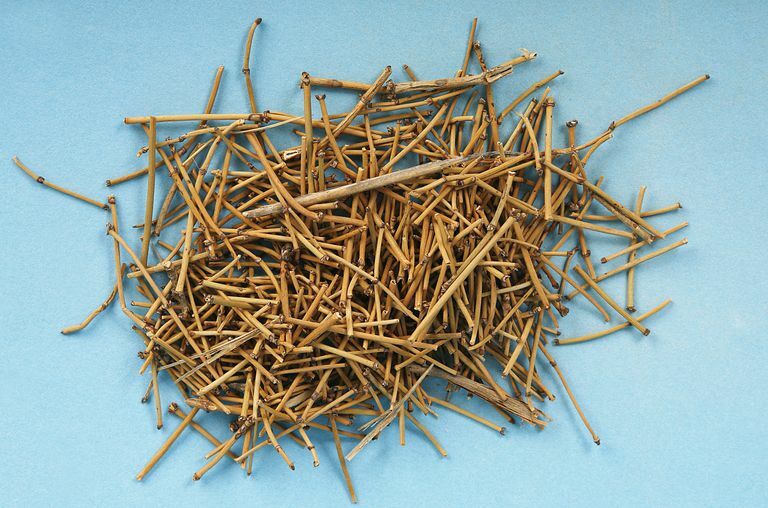 A National Institutes of Health review of 16,000 adverse events linked to ephedra and identified two deaths, nine strokes, four heart attacks, one seizure and five psychiatric cases. The study concluded ephedra is associated with higher risks of heart palpitations, digestive effects, and symptoms of hyperactivity of the autonomic nervous system (tremor, insomnia), especially when combined with caffeine or other stimulants such as kola nut, green tea, guarana or yerba mate. Many adverse effects are attributed to overdose, abuse, and combining it with other stimulants that heighten its effect, such as caffeine. Side effects of ephedra, however, can vary and are not dose dependent. Serious side effects may also occur in susceptible people at low doses. Ephedra is believed to increase the risk of heat stroke because it increases metabolism and impairs the body's ability to lose heat. People with these health conditions should avoid ephedra. People with allergies to ephedra, ephedrine, or pseudoephedrine should also avoid ephedra. Ephedra shouldn't be taken two weeks before or after surgery. It shouldn't be used by pregnant or nursing women or children. People with anorexia nervosa or bulimia should avoid ephedra because it affects appetite. Stimulants. Ephedra should not be combined with other substances with a stimulant effect, such as caffeine and Sudafed (pseudoephedrine hydrochloride), as it may have an additive effect. Herbs known to contain caffeine include green tea, kola nut, guarana and yerba mate, while bitter orange is a stimulant. Due to safety concerns, ephedra is banned in the United States, and there is no safe recommended dose. Ephedra is not available for sale in the United States. Some products that previously contained ephedra have been reformulated, but their effectiveness is unclear. Is the pseudoephedrine in ephedra the same as in cold medicines? A synthetic form of pseudoephedrine is found in many over-the-counter decongestants and cold medicines. However, synthetic pseudoephedrine and ephedrine used to make the illicit street drug methamphetamine, and sales of these decongestants are regulated. Most pharmacies store these medicines behind the counter and proof of ID are required to purchase synthetic pseudoephedrine products. Shekelle P, Morton SC, Maglione M, et al. Ephedra and Ephedrine for Weight Loss and Athletic Performance Enhancement: Clinical Efficacy and Side Effects. Evid Rep Technol Assess (Summ). 2003;(76):1-4.